Open Houses are some of my favorite events of the year. They are simply fantastic, and I’m not just saying them because I coordinate them. 1. Reconnecting with prospective students – I absolutely love recognizing students from college fairs and high school visits and seeing them explore our beautiful campus for the first time. It’s even more exciting when they recognize me and stop by to chat for a few minutes about questions or to share their latest thoughts on Loyola. I was lucky to have several of these interactions throughout the day. 2. The Department Fair – where I get to catch up with some of our fantastic faculty members. As an alum, I have the pleasure of knowing many of the faculty on campus, but I don’t get too many opportunities to catch up with them. 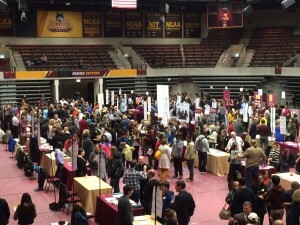 Fortunately, the department fair not only gives me an opportunity to say hi, it also gives all of our prospective students and guests the unique opportunity to meet with faculty from all 80+ majors and minors! 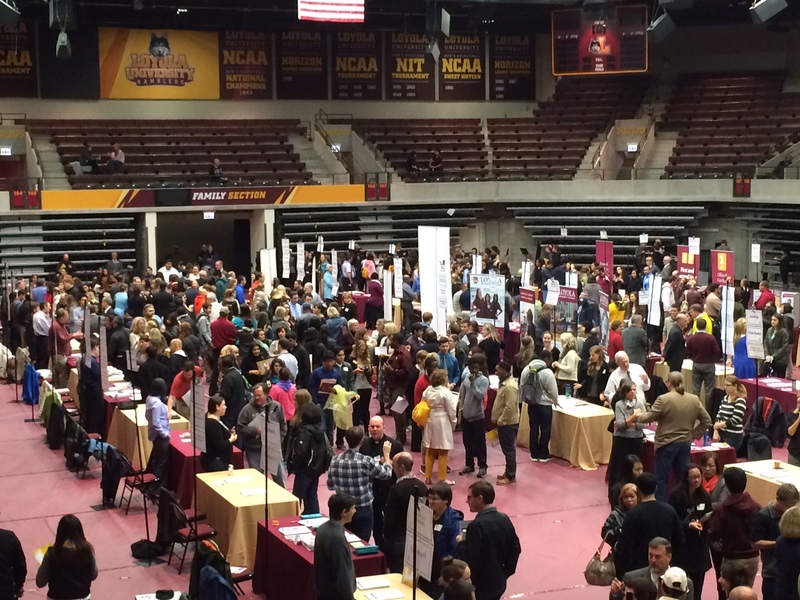 The department fair at Loyola’s October Open House. 3. 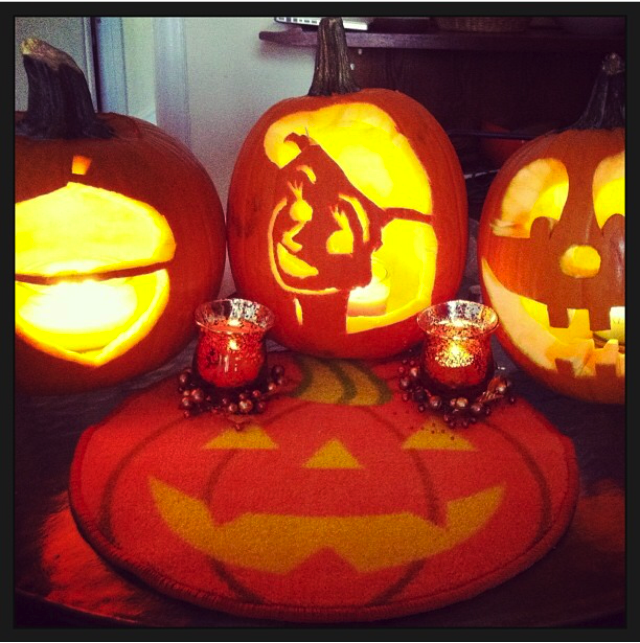 The food – who doesn’t love free food?! And there is a TON of it at Open House. My personal favorite though is just being able to enjoy Loyola’s hot apple cider on crisp fall day. 4. Spending a Saturday morning on Campus – Rain or shine, there is no location I love more than the Lake Shore Campus early in the morning. 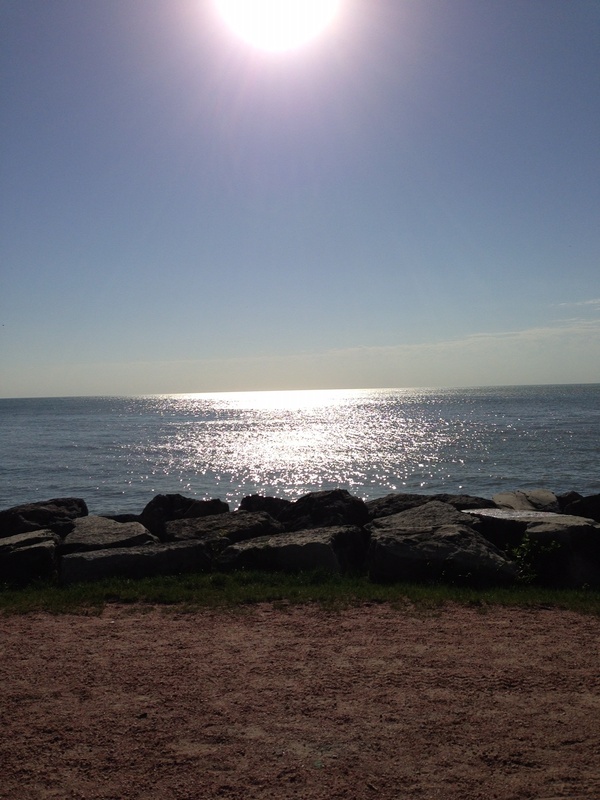 It’s simply impossible to find a better view than the sun rising over Lake Michigan as we are getting ready for the thousands of guests at Open House. 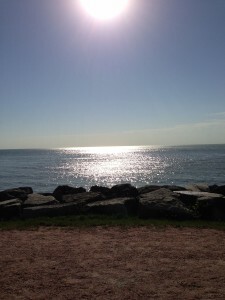 View of Lake Michigan from Campus. 5. The Undergraduate Admission Student Workers – they are the best. Seriously, how many people do you know that are willing to work overtime on Friday night and Saturday morning? They not only do this, but they do it with a smile on their faces because they genuinely love Loyola and having the opportunity to connect with our prospective students. It’s great to be able to spend time with current students who are loving their Loyola experiences. They also seem to have fun with the hundreds of balloons we had this past weekend. 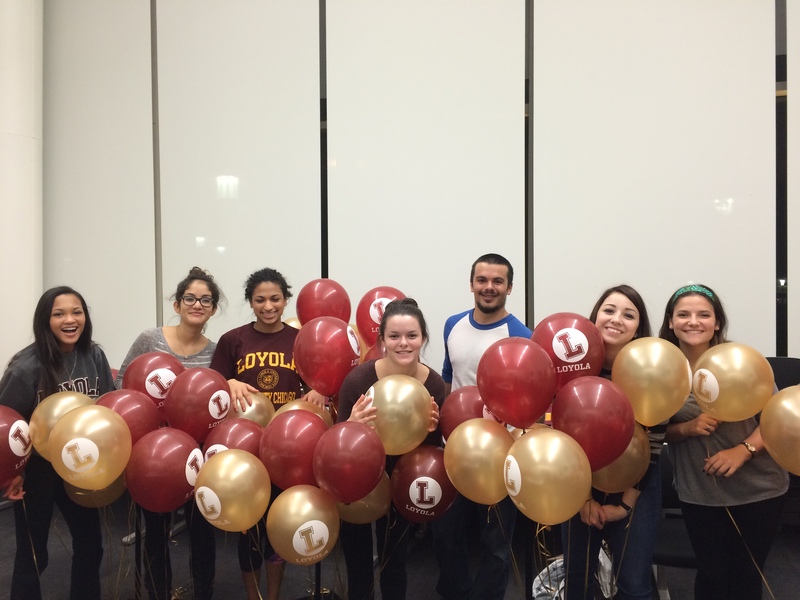 Student Workers pose with balloons while prepping for Loyola’s October Open House. THANK YOU to the nearly 2,000 guests we had on-campus this past Saturday! 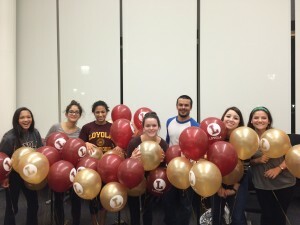 We’re so thrilled you had the opportunity to join our Loyola community for the day. For those of you who were unable to join us, it’s not too late! You can still register for the Saturday, November 8th Open House by clicking here or you can register for a traditional campus visit by clicking here.